Craving a fusion of science and food? 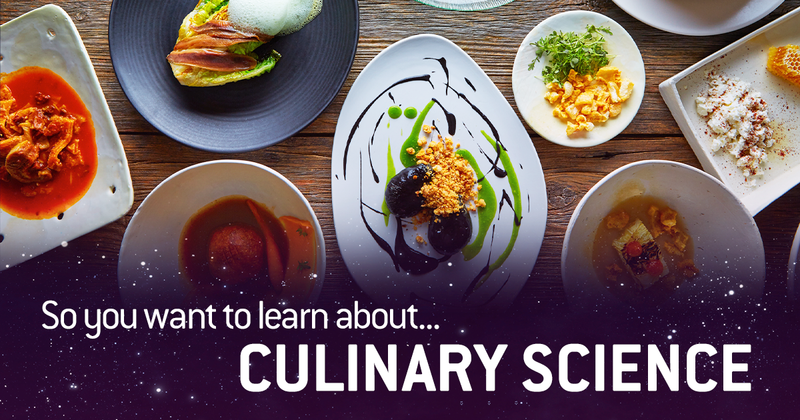 #ATLSciFest 2019 is jam-packed with events related to culinary science. Start planning your Atlanta Science Festival experience with these curated events, taking place all over metro Atlanta March 9-23. Learn how goat cheese is made, why eating insects is the wave of the future, sip crafted concoctions, and sample many more delicious events! Blue Delliquanti spent years researching and diving into the world of entomophagy (the practice of eating insects) to write her graphic novel Meal. Come hear about her culinary adventures and research process as she tells us all about how Meal came to be. 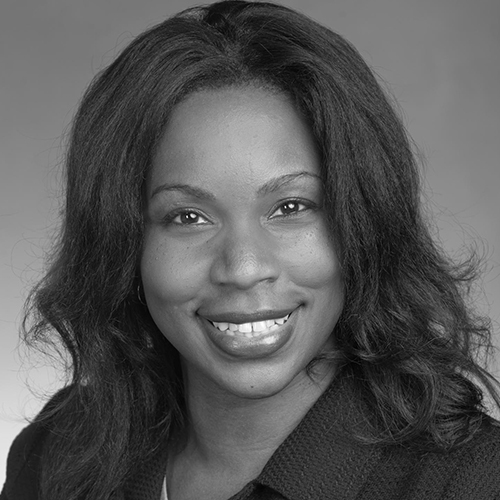 We’ll have scientist and entomophagist Chelsea Thomas there to tell us more about why eating insects should be the wave of the future. And maybe you’ll get to try one of these delightful treats! Purchase family tickets to this event here! They say you are what you eat, so get to know yourself better by visiting Fernbank Science Center for a taste of science! Enjoy culinary treats as local scientists offer their thought-provoking insight about threats to our food supply and public health through engaging mini lectures. See what you learned when you cap off the evening by competing for free planetarium passes in our live, online game! Purchase tickets to this event here! Did you know a strawberry really isn’t a berry – but a banana is? It’s time to put your science hats on and learn about strawberries! Join UGA Extension as we learn about growing them in the ground, preserving and freezing them so they don’t go bad, and eating them as tasty treats. You’ll be able to create and grow your very own strawberry container garden to take home and make smoothies to enjoy before you leave! Purchase tickets to this delicious event here! Apéritifs? Digestifs? Amaros? Ever wonder what these concoctions have in common and why we drink them before and after meals? Join Christi Hansen, registered dietician and organic vegetable farmer, for a deep dive into the digestive system and which aromatic and bitter plants grease its wheels. You’ll learn the basics of making delicious bitters and take home your own elixirs made from a variety of fresh and foraged ingredients. Purchase tickets to Bitter Spirits here! Have you ever wondered how creamy goat cheese is made or what makes it so delicious? Come out to Decimal Place Farm, a Saanen goat dairy just 10 miles from our State Capitol. You’ll get a chance to practice milking, scoop cheese curds from whey, and visit chickens as they scratch for bugs. We’ll take a mild hike through the woods and across the creeks as we search for forest treasures, and visit the farm’s small garden, feeding your curiosities along the way. Don’t forget to pack your boots and a thirst for science adventures! Note: There is a second session of this event later in the day at 1pm. Get tickets to this event here! Ever wonder how ice cream is made? Join UGA Extension Fulton County and the Georgia Mobile Dairy Classroom to learn about the dairy industry and to participate in a live milking demonstration. You will even be able to get up close and personal with a real live dairy cow! Afterwards, make your own yummy ice cream and learn about the nutrition behind milk and dairy products. Get tickets to this legen-dairy event! 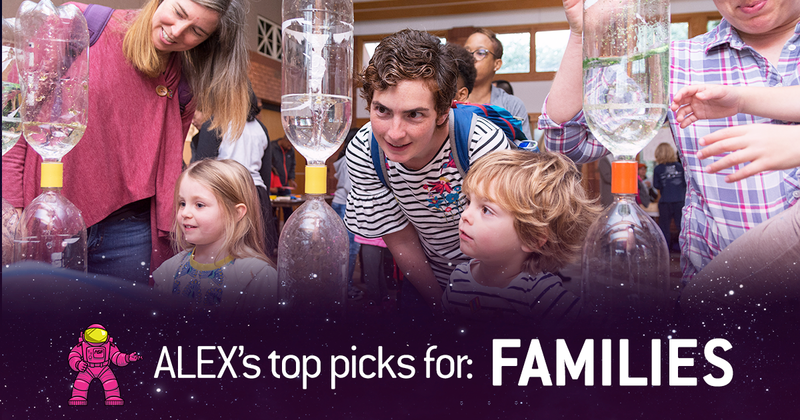 Check out ALEX’s top picks for families in these #ATLSciFest 2019 events! Start planning your Atlanta Science Festival experience with these curated events, taking place all over metro Atlanta March 9-23. Become a zoo-keeper, explore archaeology, and much more! Drop in anytime to this open house event to see what’s in your soil and learn about urban agriculture in Atlanta! Learn from farmers and scientists about how to start your own garden, potential risks from soil contamination, and simple ways to clean your soil. Don’t forget to bring your own soil in a Ziploc bag to be tested for heavy metals! Advance registration appreciated, but not required. Any who register in advance will be given seeds and a startup kit. Register for this free event! DESIGNORAMA is Drew Charter School’s annual family-friendly celebration of inventing, making and creating. This event brings together makers, crafters, inventors, hackers, scientists, and artists for a fair full of fun and inspiration. Come see what others are making and be inspired to tap into your own creativity! Learn more about this free event! Forget Downward Dog! We’re doing Downward Panda! Get down with Zoo Atlanta’s pandas in a new way through the Family Yoga Program. During this hour-long event for families, you’ll enjoy yoga featuring panda-inspired poses. After yoga, we’ll explore more about Pandas, their habitat, and how we all can work to conserve this unique species. After the class, we encourage you to stick around visit the Zoo. All non-Zoo members will be provided with a 20% off coupon to use towards Zoo admission. Buy tickets for this event here! On the second Sunday of each month, the High Museum will offer free admission for all visitors and special family-friendly programming from 1 to 4 p.m. For this Second Sunday, we’ll ask, “What do science, technology, engineering, and math have to do with making art?” Looking at works of art in our collection with scientists and artists, we will discover how art connects with these subjects as we explore the creative process. Learn more about this free event! Let the Georgia State University Bio-Bus take you on a genetics adventure! DNA is for Families is an exciting series of hands-on activities where young learners (ages 5-10) and their parents work together to explore how different traits are inherited. You’ll work with DNA models, and models of people, to explore how DNA plays a role in this process. Take your work home to show your friends! Register for this free event here! Come to the Zoo for a unique family exploration. This three hour program for parents with children 4-13 gives families hands-on, minds-on fun as they explore what it is like to be a zoo keeper, field researcher and conservationist. Fun will include brainstorming with one of our keepers to create enrichment for animals, using the technology of field researchers, and creating a family plan on how to grocery shop sustainably. Each activity is designed to engage all members of the family. Purchase tickets here! Explore four floors of hands-on science demonstrations from GSU departments and student groups. 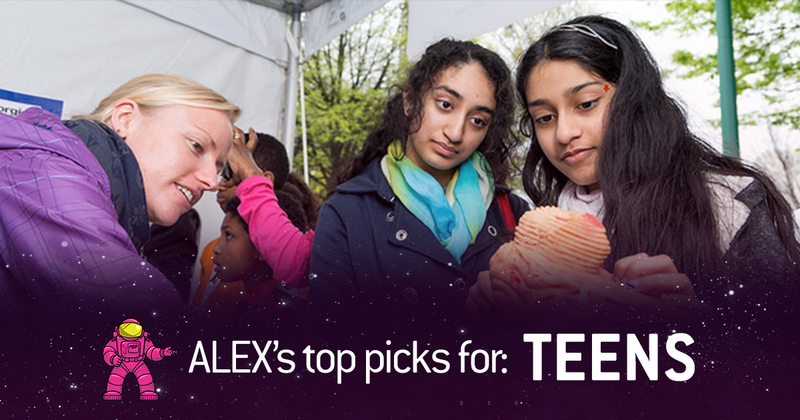 Learn about the science of ice-cream (and make some yourself), the wonders of 3-D printing, create slime, touch brains, and get a picture of yourself as a mad scientist! Identify various dinosaur footprints throughout the exhibits and exchange your scientific discoveries for a prize! Learn more about this free event. Bring the whole family out for a science carnival mashup! Parents and kids can play with–or against–each other in games based on some of your favorite classic science experiments and beloved carnival games: Air Cannon Shoot, Giant Jenga, Sound Wave Splash, and more! Register for this free event here! Build a better world at the ChangeMaker Faire! Think county fair with science mixed in, and so much more! The ChangeMaker Faire is an all-ages gathering of tech enthusiasts, crafters, educators, tinkerers, hobbyists, engineers, science clubs, students, and commercial exhibitors on the STEM-certified Amana Academy charter school campus. All of these “makers” come together to show what they have made and to share what they have learned. Visitors will enjoy moonwalks, food trucks, and STEM-themed activities such as Geocaching. Learn more about this free event. Join the West Atlanta Watershed Alliance and a host of partners to experience O-STEAM, Outdoor Science, Technology, Engineering, the Arts, and Math at the 26-acre Outdoor Activity Center in Southwest Atlanta, a part of the Atlanta Children’s Forest Network! This amazing and engaging hands-on experience will celebrate the urban forest, urban watersheds, wildlife, the arts, and “going green” technologies that advance urban sustainability and combat climate change. Learn about pollinators, plants, amphibians, birds, water, community science, ways to prevent the pollution of our urban environment, and more! Register for this free event here. How did people live in the past? Archaeologists are the detectives of science, working to answer this question. Join Emory University experts for a set of activities where you can learn how to extract DNA, perform chemical analysis to discover the uses of artifacts, and put ancient objects and skeletons back together like a puzzle. Parents and kids alike can ask Emory anthropologists about their work and hear about the latest discoveries in the field. Learn more about this free event! Hi there! I’m taking a break from exploring to share some great opportunities for children 4-18 to get involved with STEM this summer. Kids can explore everything from reptiles to biotechnology, and much more in between. When you’re done exploring here, check out more STEM camps in our expanded list, and find STEM events happening year-round on the Science Scene Calendar! Happy Exploring! From pandas to parrots to pine snakes, young explorers will be immersed in hands-on, minds-on learning while having fun! Select an individual week that fits in your summer plans, or spend the entire summer with us. It’s sure to be a fantastic adventure! Click here to learn more. Camp hours are 9 a.m.–4 p.m. (Drop-off starts 8:30 a.m.). Camp Half-Day hours are 9 a.m.–12 p.m. (Drop-off starts 8:30 a.m.). After/before care options available for additional cost. Critter Camp is a fun, science-based exploration into the world of reptiles and amphibians – perfect for the critter enthusiast in your life! Weather permitting, hikes may be taken to our nearby creek to survey for native critters. 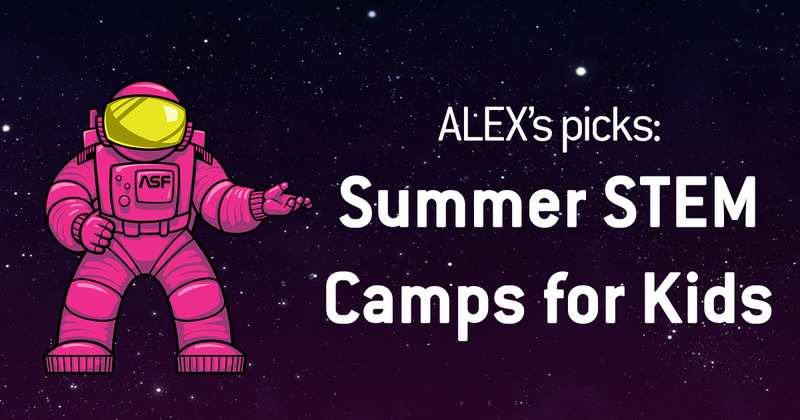 Space is limited to 12 campers per session! Please contact Critter Camp Administrator, Crystal Mandica, [email protected] if you have any questions or concerns. Click here to learn more. Junior TreeKeeper Camp days are filled with hands-on activities in environmental science, biking to explore the Atlanta BeltLine Arboretum and green spaces, and making new memories with friends. Click here to learn more. The Blue Heron Nature Preserve camps focuses on outdoor immersion and inquiry-based exploration. Hours and Costs vary by Age Group. Click here to learn more. Holy Innocents’ Bear Camps include extensive programming, including two dedicated STEAM-focused camps on Robots and Predators. Click here to learn more. Students will participate in five weeks of STEM based classes. Weekly field trips to local STEM related museums and corporations provide opportunities for the students to gain exposure to a variety of STEM careers. Students are expected to attend all five weeks to maximize their STEM learning experience. Click here to learn more. Atlanta International School (AIS) Summer Camps offer an enriching summer experience filled with fun, new friends and opportunities to learn about the world and each other! Among their offerings are STEM camps focused on Wood and Tinkering, Space, 3D Printing, GEMS (GIrls in Engineering, Math and Science), Robotics, Predators, and more. Check the website for more details and specific dates. Each themed camp runs for one week. Click here to learn more. Every year 4-H offers away camps for 4th-12th graders, several of which explore STEM topics. You might head to Rock Eagle, the largest 4-H center in the world, the north Georgia mountains, the beach, or Atlanta. Click here to learn more. This camp is designed for participants to explore the world of biotechnology. Hands on experiments include gel electrophoresis, PCR and genetic engineering applications. Click here to learn more. The Summer High School & Young Adults Community Health Worker training program is a summer intensive 5 week training for the year-long training program that seeks to increase the number of trained HS CHWs to engage family, peers and community in strategies for better health and wellness. The application deadline is March 31. Click here to learn more. Daily Hours: 8:30 a.m. to 4:30 p.m. Dates: Three identical sessions: June 17 – 21, July 8 – 12, July 22 – 26. Ages: motivated students who will be high-school juniors or seniors during the 2019-2020 school year. Must be at least 16 years old by June 17. CDC Museum Disease Detective Camp (DDC) is an academic day camp held at CDC headquarters in Atlanta, Georgia. Over the course of five days, campers are immersed in the diverse field of public health. Topics vary year to year, but may include: public health interventions, global health, infectious disease, chronic disease, injury prevention, data analysis, surveys, school wellness programs, violence prevention, environmental health, emergency preparedness, outbreaks, scientific communication, laboratory technology, disease surveillance, epidemiology, and public health law. Click here to learn more. Daily Hours: 8:45 a.m. – 4:00 p.m.
Our unique science and technology summer camp programs are designed to meet the needs of children ages 4-15. Carefully researched STEM based science lessons help engage students in observation, measurement, identification of properties, and experimentation involving life, earth, and physical science concepts. Click here to learn more. Check out more STEM camps in our expanded list, and find STEM events happening year-round on the Science Scene Calendar! 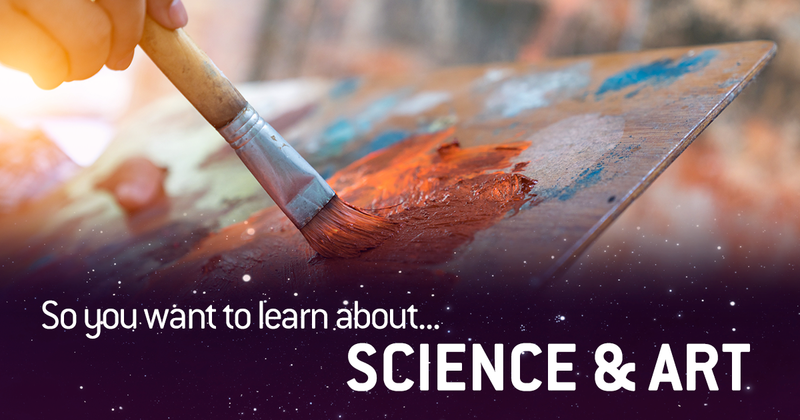 Scientific art and artful science combine in these #ATLSciFest 2019 events! Start planning your Atlanta Science Festival experience with these curated events, taking place all over metro Atlanta March 9-23. Explore the Voyager’s Golden Record through modern dance, discover the story of Ada Lovelace, meet Beatrice the Biologist, hear scientists tell their stories of success and failure at The Story Collider, and much more! A music, engineering, and tech mashup, the Georgia Tech Margaret Guthman Musical Instrument Competition is an annual event aimed at identifying the world’s next generation of musical instruments and unveiling the best new ideas in musicality, design, engineering, and impact. The Guardian called the competition “The Pulitzer of the New Instrument World,” and The New York Times described the “special, otherworldly sound that you can feel permeating your soul” which became the hallmark of the competition. Fast Company explained how Guthman’s “Futuristic Instruments will change how we make music,” and Atlanta Magazine suggests that “at the Guthman Competition, innovative instruments just might predict the future of music.” Learn more about this free event. On the second Sunday of each month, the High Museum will offer free admission for all visitors and special family-friendly programming from 1 to 4 p.m. For this Second Sunday, we’ll ask, “What do science, technology, engineering, and math have to do with making art?” Looking at works of art in our collection with scientists and artists, we will discover how art connects with these subjects as we explore the creative process. Learn more about this free event. Take some scientists, teach them the basics of comedy writing, and put them onstage for a live audience performance. Real Science. Real Experts. Real Funny. Purchase tickets here! Art and science collide in Fusion Gallery: Breakthrough at Georgia State University. Nature inspires scientists to ask questions, but the mystery of the universe can also be expressed in other ways. GSU life & earth sciences students along with two-dimensional design students will collaborate to create artistic expressions of scientific data. The “breakthrough” that the scientific data represents comes alive in these works as students work together to metaphorically express the essence of what the data teaches us. Student artists & scientists will be on hand to explore the artistic process and the science behind each work. Learn more about this free event. This internationally touring variety show is full of professional writers, comedians, and more performing acts based on actual scientific studies. This 60-to-90 minute high-energy show is chock full of hilarity, artistry, and even a little bit of learning. Grab a drink, pull up a chair, and witness the uninhibited and after-hours side of science. Purchase tickets here! Meet and greet Beatrice the Biologist. You might have seen her science comics on the internet, but now’s your chance to see the scientist behind it all. In this workshop, you’ll learn how to draw your own science cartoons featuring amoeba hugs, dinosaur farts, and much, much more. Come to Manuel’s at 7:30 to grab dinner and drinks with comics for dessert! PS: No art skills required! Purchase tickets here! The Story Collider brings true, personal stories about science to life. 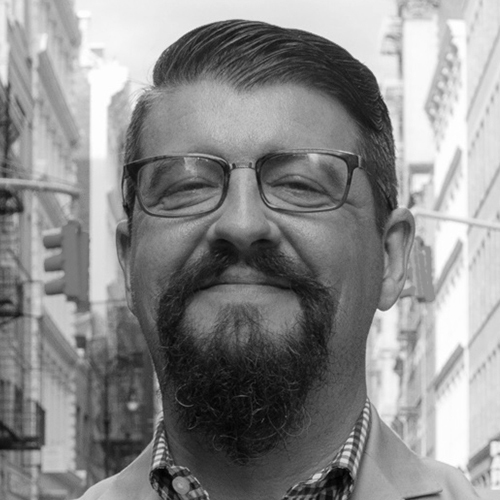 At this live show, you’ll hear scientists tell heartwarming (and heartbreaking) stories about their failures, successes, and everything in between, and you’ll also hear from people who haven’t had a formal connection to science in years. Science is a part of all of our lives and The Story Collider brings chemists, comedians, actors, neuroscientists, writers, and physicists alike onto the stage to tell their (true) stories. Purchase tickets here! The human microbome is a dynamic collection of bacteria, fungi, and viruses central to our survival, shaping every one of us from birth. Acclaimed writer Ed Yong wrote of this “forgotten organ” in his masterpiece I Contain Multitudes: The Microbes Within Us and a Grander View of Life. Now, his written word has provided inspiration for four nationally known playwrights who engaged in a 48 hour marathon of isolated furious writing, emerging with four newly-formed plays all based on this same book. Join us to hear from Ed Yong, get a taste of the plays that emerged from his book, and discuss with the artists and local scientists. Learn more about this free event. Ada Lovelace: mathematician, poet, first computer programmer. Ada and the Engine is a play that portrays Ada’s struggles as a female in a field of only men and highlights the same struggles that women still have today in STEM. Come see the play and the multimedia gallery portraying women throughout history in STEM fields. Following select performances, we will have a talk back about the themes of the play. Purchase tickets here! 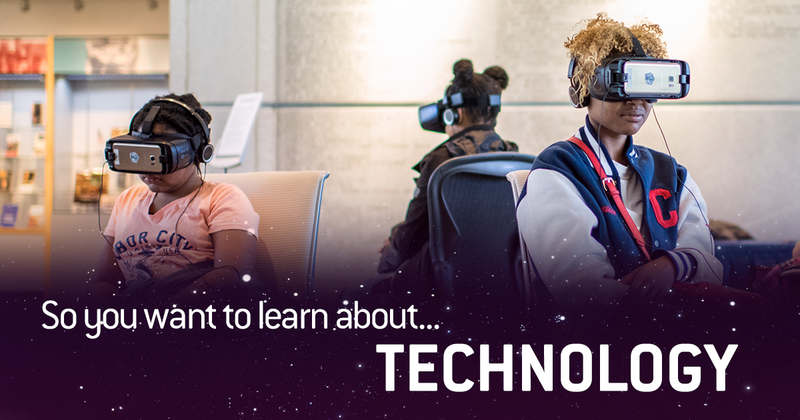 Explore all things technology in these #ATLSciFest 2019 events! Start planning your Atlanta Science Festival experience with these curated events, taking place all over metro Atlanta March 9-23. Learn about the nanoscale and nano-tattoos, attend an astronaut job fair, and more high-tech events! Atlanta’s mightiest heroes have come together as a team for this special ASF event. That’s right – we’re bringing together superhero scientists and engineers to tell us more about what parts of superhero science are actual science and what is still science fiction. Ever wonder if you’ll have A.I. that can transition to physical form? What are the chances that aliens will look human? Will soldiers have computerized weapons systems in an armored exoskeleton suit? 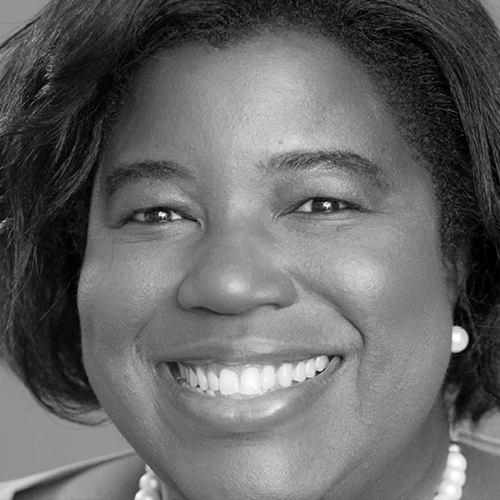 Moderated by Dr. Lisa Yaszek, Professor of Science Fiction Studies at Georgia Tech, our panel will feature experts in artificial intelligence, astrobiology, and nanotechnology. Come join the conversation! The panel discussion will take place in the theater, with family friendly activities in the lobby. Learn more about this free event! Humans are constantly in motion. But have you ever stopped to consider how, precisely, we’re able to move the way we do? Join Georgia Institute of Technology PoWeR Lab for a fun afternoon demystifying what makes us run fast, the electricity required to flex your muscles, and so much more. You’ll get your blood pumping through fun exercises while you test high-tech gadgets and learn how engineers are designing wearable devices that will make it easier for humans to walk in the near future. Learn more about this free event! Controlling computers and robots with thoughts? Modifying brain activity to treat disorders such as Alzheimer’s Disease and depression without medication? New neurotechnologies can sound like fantasy, but what is science fact and what is science fiction? As this technology blurs the lines between mind and machine, does it change our definition of what it means to be human? Local technology and ethics researchers leading the neuro-engineering revolution will address these questions in an engaging interactive discussion, including live audience demonstrations of neural interfaces. 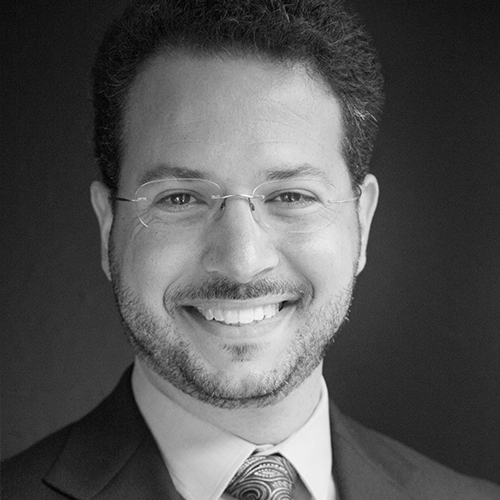 Presenters will be faculty from Emory and Georgia Tech leading neuroengineering or neuroethics research efforts: Dr. Chethan Pandarinath, Dr. Karen Rommelfanger, Dr. Christopher Rozell, and Dr. Annabelle Singer. Purchase tickets to this event here! What do clean drinking water for all, targeted cancer treatment, invisibility cloaks, self-healing fabrics, quantum computing, a space elevator, and bendable electronics have in common? They may all be possible through nanotechnology. Led by members of the Georgia Tech nanotechnology community, come learn about nanotechnology, its current applications, the hype surrounding its development, and potential future uses. Then, join the discussion and share how you’d like nanotechnology to impact your life. Learn more about this free event! Learn what makes the nanoscale special and how it’s led to improvements in everyday products. Join Georgia Tech scientists and engineers in hands-on activities exploring the nanoscale. What is nano about a lotus leaf and how do we use this effect? How can clear nail polish be colorful? What is a smart material? What do objects look like under a scanning electron microscope (SEM)? Bring a sample to scan (not wet, and less than an inch in diameter, please) with our tabletop SEM. Learn more about this free event! Robotics! Virtual reality! Hands-on science! Come on out to the Cobb County Public Library System’s Family Tech Time for a family-friendly afternoon of fun and science. Educators are also invited to preview CCPLS STEM Stacker educator kits developed in partnership with the Georgia Science Teacher Association and UGA Cobb 4H. Learn more about this free event! Space YouTuber, Space plumber, Space athlete, even Space Fortnite will be some of career opportunities presented for middle-grade students at the Atlanta Science Festival debut of the space STEAM career program, Astronaut Job Fair. Astronaut Job Fair (AJF) is a professional Space job training workshop for middle-grade students, ages 9-13. Staged as a real professional job fair and career day, AJF at ASF will inspire and encourage young students with a flair for STEAM towards Space-themed college and career directions. Tomorrow’s jobs are in Space! Purchase tickets to this event here! Have you ever wanted to do yoga with pandas, or sip cabernet with critters? 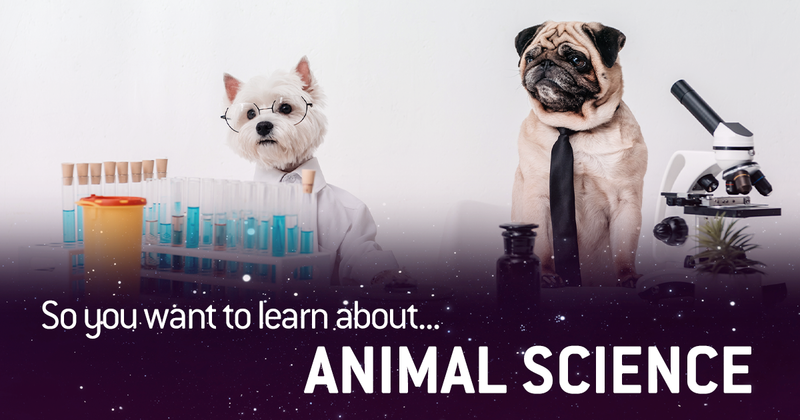 #AtlSciFest 2019 has all of the animal science events for you! Start planning your Atlanta Science Festival experience with these curated events, taking place all over metro Atlanta March 9-23. Learn all about insects, amphibians, and more in the events below! Atlanta is home to a unique nonprofit dedicated to the conservation and research of amphibians amidst a global population decline. In 2016, The Amphibian Foundation formed to focus on conserving two of Georgia’s most imperiled species (Gopher Frog and Flatwoods Salamander), and since then has begun working on other native and globally endangered amphibians. Closed to the public, this is a chance to see the conservation collections and meet Foundation staff working hard to save these vital and sensitive animals from extinction. Register now for this free event. The snapping turtle is one of Atlanta’s most despised vertebrates. Join us for a discussion and (completely safe) live exhibit exploring the biology, myths and legends of our largest and most notorious native turtle — the snapping turtle. See them up close and personal while learning about their ecology and the role they play in our urban ecosystem. Learn about the Amphibian Foundation’s urban turtle conservation programs which benefit our community as well as the turtles in our neighborhoods. Learn more about this free event! The Giants of the Mesozoic exhibit at Fernbank Museum of Natural History showcases one of the largest land animals that ever walked the earth (Argentinosaurus) and the world’s largest land carnivore (Giganotosaurus). But have you ever wondered about the origin of these Cretaceous superheroes? Take a virtual trip to Patagonia, Argentina with paleontologist Anthony Martin, Emory professor and author of Dinosaurs Without Bones, as he explores what life was like for these dinosaurs 100 million years ago. Register now for this free event! Do you love insects? You will after this event! Sometimes friends, sometimes foes, insects have held a tempestuous place in human history. Explore the fascinating world of insects, visiting stations where you can catch and observe insects under microscopes, explore insect life cycles, create art inspired by our insect friends, and dine on insect culinary treats (YUM). Learn more about this free event! Is it really true that the queen bee calls the shots? How do honeybees communicate and make the best decision for the hive community? Come for a fascinating close-up look at the latest honeybee research, complete with hive observations, a honey tasting, and an outdoor experience at Blue Heron Nature Preserve. Purchase tickets to this event here! Come on out to Clyde Shepherd Nature Preserve in Decatur and witness wildlife with regional experts from The Amphibian Foundation. Become ‘citizen scientists’ and perform an amphibian ‘bioblitz’ inventory of the preserve documenting salamanders and frogs in one of the last strongholds for amphibians inside of the perimeter! Everyone and their families are encouraged to attend and bring your cell phones to upload images of what we find to iNaturalist. Learn more about this free event! Fourteen years ago, a group of scientists raced to evacuate frogs from the wilds of Panama to protect them from a deadly chytrid fungus that was sweeping the region. After more than a decade of quarantine, the remaining populations of two Panamanian frog species have been reunited. 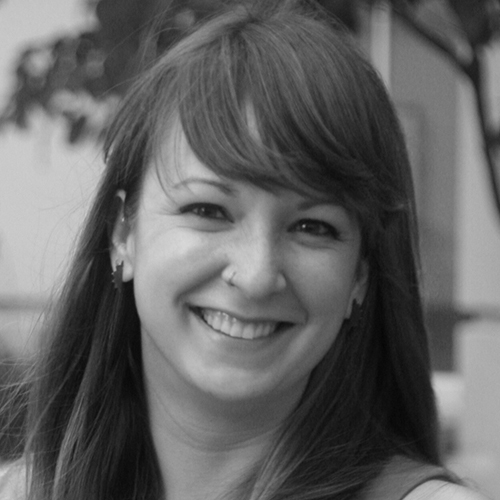 Join Chelsea Thomas, Amphibian Conservation Coordinator at the Atlanta Botanical Garden, as she discusses recent research on the chytrid fungus, her first-hand experiences of traveling with these frogs, and the small steps we can take to help amphibians both here and abroad. Note: This event is designed for a middle school audience. A second event geared towards adults and older teens will be later in the evening. Learn more about this free event! Are humans more closely related to bears or beetles? Join the Georgia State University Bio-Bus as a junior taxonomist to explore the animal kingdom from sponges and corals to bugs, octopuses, and mammals! You’ll use diverse animals’ DNA sequences to create an animal “family tree.” Register for this free event now! Curious about the plight of the bees and what is being done to save them? Dr. Jennifer Leavey, Director of the Georgia Tech Urban Honey Bee Project, will present a summary of cutting-edge bee-related research from around the world published over the course of the last year. Learn more about this free event! Join the Center for Puppetry Arts and Barefoot Puppet Theatre as they introduce you to Galapagos George, the Little Tortoise That Could! Your amazing Atlanta Science Festival experience will include a puppet show, a Create-A-Puppet WorkshopTM, the Worlds of Puppetry Museum with specialized learning stations, AND a special appearance by some reptilian friends visiting from the Amphibian Foundation! Have a blast learning about animals, ecology, and the STEAM of puppetry. Buy tickets to this event here! 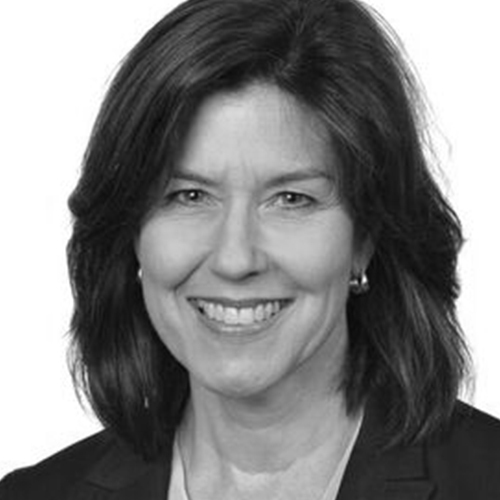 Bridget Heos, author of the Just Like Us! series of books, discusses with kids the various ways that humans share similarities to other living things. Cats enjoy naps. Birds decorate their homes. Fish go to school (and find safety in numbers). Plants drink water. Ants build roads. This just scratches the surface! Books will be available for sale at the event and Bridget will sign them! Learn more about this free event! Looking to appreciate the wonder of nature at #ATLSciFest 2018? Experience an eco-expedition, a roadside geology walk, a wildflower tour, & more! Read our recent blog to learn about all the great environmental science featured at this year’s Festival. Join in on the hunt to find and identify bugs, birds, plants, and more around Stone Mountain on March 10! Experts from Georgia State University, local organizations, and National Geographic’s Georgia Geographic Alliance will help YOU explore the different species in your own backyard. We’ll use the iNaturalist app to record observations and contribute to a worldwide map of biodiversity. Meet us at the visitor center for K-12 activities related to this mini “BioBlitz” and join in on our quest! Don’t forget to explore our collection of fossils when you stop by to better understand previous extinctions in the history of life! Hiking groups will depart frequently. Learn more about this event here. Tag along with two geologist-educators to see the beautiful building stones and folded natural rock layers of Midtown Atlanta, on a tour from Symphony Hall to Rhodes Hall. Dr. Bill Witherspoon, co-author of Roadside Geology of Georgia, teams up with highly sought guest speaker from Georgia Mineral Society and Atlanta Geological Society, Bill Waggener, to interpret the stories that rocks tell. You’ll even get to take home your own Georgia Mineral Society mineral grab bag. Note that the March 18 session has sold out, but tickets are still available for the March 22 session. Learn more about this event here. Join us as we explore the great outdoors during Zoo Atlanta’s Nature Play! During this family-friendly program, you’ll exercise your imaginations and learn about nature by exploring, all within the heart of Atlanta! You’ll meet the instructor at Zoo Atlanta and walk to Grant Park to discover the natural world that surrounds us in an urban environment. Purchase your tickets here. Millions of years ago, a massive magma chamber cooled below ground near Atlanta never erupting through to the surface. Now, we call it Stone Mountain. Join GSU Geosciences on a hike to explore this unique granite dome. You can start the hikes or swing by for a hands-on learning session at the visitor center where the geologists will explore the history of this notable natural landmark. You’ll also be able to ‘walk’ a Giant Traveling Map of Georgia, engage in activities with rock and mineral specimens, and explore other natural landscapes using Google Cardboard VR. Groups will depart frequently for the guided hike. Learn more about this event here. Calling all nature lovers! Explore the outdoors with Fernbank Museum — join expert guides to find and identify organisms in WildWoods and Fernbank Forest. Guests will use their smart devices to upload photos of the organisms they discover with the help of the iNaturalist app. Explore the outdoors, learn about local biodiversity, and contribute scientific data while having fun in the forest. Learn more about this event here. It can’t be just about science. There’s economics, politics, and history that all come into play when the United Nations negotiate global climate agreements. Come have a seat at our mock negotiating table and become an international policymaker for a day. We’ll prep you in advance with your role and the background you’ll need to be a successful negotiator. Join us to learn about climate, politics and science in this role-playing exercise exploring the inner workings of UN climate talks. Come make your mark on the planet’s future! Dinner is included in this event. Learn more here. In Atlanta, we are miles from the sea. Yet every day our actions have an impact on our ocean. In a recent study, it was discovered that just ten rivers in the world are responsible for 88-95% of the total worldwide load of plastics that reach the ocean. Join Georgia Aquarium’s biologists, researchers, and educators as we break down the facts that surround marine debris and what we can do for a brighter future. Learn more about this event here. Join a Fernbank scientist to explore Fernbank Forest, a 65-acre mature mixed-hardwood forest located in the heart of metro Atlanta. Participants will explore the diversity of native wildflowers and learn to identify them by their leaves and flowers. Learn more about this event here. Sunny with a chance of rain! Join the Georgia State University Bio-Bus and become a junior meteorologist as you learn about how clouds form, and what forces of nature produce weather. You’ll also get to make your own tornado in a bottle – so don’t forget to bring your own empty plastic water bottle. This event is best suited for children 5-10 years old and their families. Learn more about this event here. Cue the rocket boosters. In less than a month, the fifth annual Atlanta Science Festival (ASF) launches with more than 100 events spread across Metro Atlanta March 9-24. Delta Air Lines serves as the Festival’s presenting sponsor. The offerings continue for two weeks as guests of all ages explore science and technology with more than 100 engaging events, ranging in cost from free to a nominal fee. These include hands-on activities, facility tours, presentations, and performances at a variety of locations. Expect drones and robots, comics and comedy, farms and orchards, nature walks, ice cream tastings, art, trivia, curling, superheroes, beavers, newts, and bees. And that’s just the tip of the telescope. The full schedule of events can be found here: atlantasciencefestival.org/events. “In the language of physics, I’m excited to observe the acceleration of the Atlanta Science Festival and the momentum of the enthusiasm found in participants and organizers alike,” Goldbart added. Have you ever watched science on the big screen and wondered how it was filmed? #ATLSciFest has many events in 2018’s line-up that journey deep into science displayed on-screen. In honor of the 200th Anniversary of the publication of Mary Shelley’s Frankenstein or The Modern Prometheus, we present a film screening of James Whale’s Bride of Frankenstein on March 18 at Fernbank Museum of Natural History from 4-6 pm. A rare sequel considered to be greater than the original, it poses questions about the limits of science, the manipulation of life, and the ethical responsibility of the scientist. 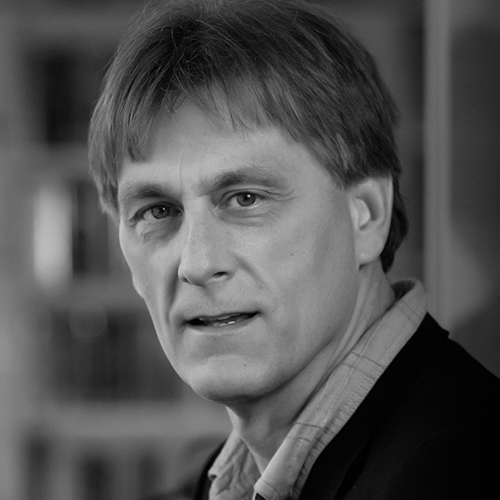 Join Fernbank Museum of Natural History; Emory bioethicist and Director of the Center for Ethics, Paul Root Wolpe; and author, filmmaker and media historian, Eddy Von Mueller, for a screening and lively discussion of science and ethics related to the film. Purchase your tickets to the Bride of Frankenstein here. Was The Walking Dead filmed at CDC? Could the monkey in the movie Outbreak actually spread a disease? Hear answers direct from the source on March 19 as CDC experts share info in this fact or fiction interactive session! This session is not appropriate for small children. Register for free in advance here. The magnificent underwater landscapes of coral reefs are disappearing at an unprecedented rate. In a screening of the documentary film Chasing Coral on March 21, we’ll tag along with divers, photographers and scientists on an ocean adventure to learn about the mystery of their disappearance. Hang around afterward to learn more about how Oxford is incorporating sustainability initiatives citywide. Register for free in advance here. One with the Force are you? Join us on March 19 for this all-ages dress up sci-fi adventure where Professor Jay Dunn leads a discussion on the worlds and aliens of the Star Wars films and compares them with the planets and life in our solar system as well as extrasolar planets. Along the way, we’ll enjoy video clips inspired by Star Wars and other sci-fi favorites. Young Jedi and Padawan alike are encouraged to attend in their favorite sci-fi attire. Learn more about The Astronomy of Star Wars here. Shows like Parenthood, books like The Curious Incident of the Dog in the Night-Time, and movies like Forrest Gump all portray characters with autism. With 1 in 68 people being affected by autism spectrum disorder, it’s no wonder we are seeing the disorder more in the popular media. To get it right, producers frequently consult experts to ensure that a character is being depicted authentically, and now we’re bringing those experts to you on March 14 at Marcus Autism Center from 5:30-6:30 pm! Our panel of clinicians and science communicators will share their personal experiences in consulting on popular movie sets and shows that are currently starring an individual with autism. Learn more about this event here. Are the fantastic geological formations of the Star Wars universe in a galaxy far, far away, or are they right here on Earth, or at least in or solar system? Hoth, Naboo, Dagobath and more may have been modeled off formations that are much closer to home. Join the Georgia State University Bio-Bus on March 14 for hands-on activities that explore how George Lucas’ film relates to our own planet and our solar system. This event is best suited for children 11-14 years old and their families. Learn more about this event here.